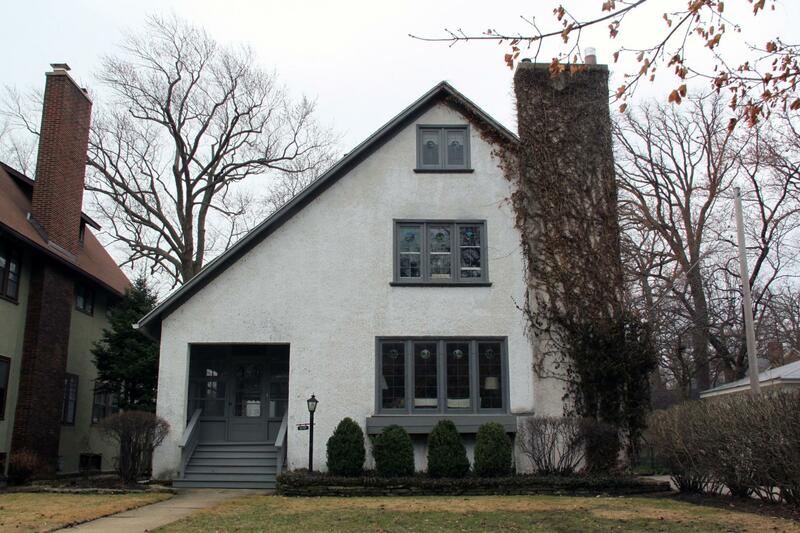 Historic Features: Art glass leaded windows, massive chimney, dramatically sloped roof. Alterations: Porch enclosed, rear addition. Exterior Alteration Permits: BP#5656, 1914.05.20, 2-sty frame porch 11' x 11' x 20'H $200. owner C.D. Richards; BP#6230, 1915.04.28, 1-sty frame garage 12'W x 16'D x 12'H $150, owner Dr. C.E. Richards, mason Mathews, carpnt H.W. Drury; BP#12261. 1924.04.16, 1-sty frame garage 20'x20'x13'H $400. o/a Dr. Richards, mason Aug Stenholm, carpnt Otto Peterson; BP#35937, 1962.09.24, 1-sty frame addt to rear $2,900. owner Robert J. Mackay, archt/contractor R.O. Brockett; 07FRP0000000033, fence; 01RFS0000000069 roofing @ single family residence. 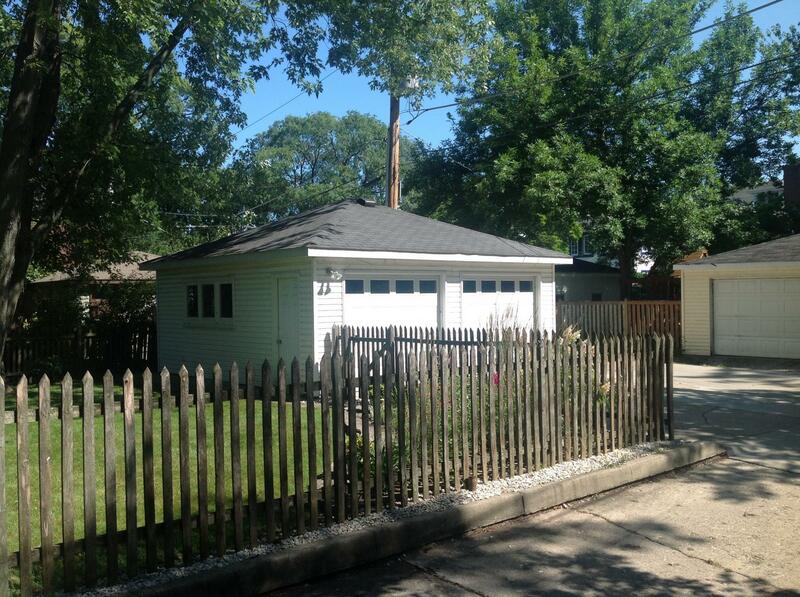 COA Info: 07HIS0000000038, replace existing wd picket fence at the rear and side yards in kind (48"x162.5''). Historic Info: Evanston Landmark. Statement of Significance "This is a representative work by a well-known North Shore architect."